Take, comment and credit if you so wish and most importantly enjoy! 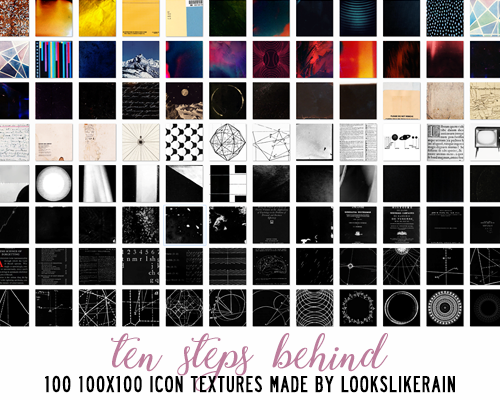 1 icon texture pack. 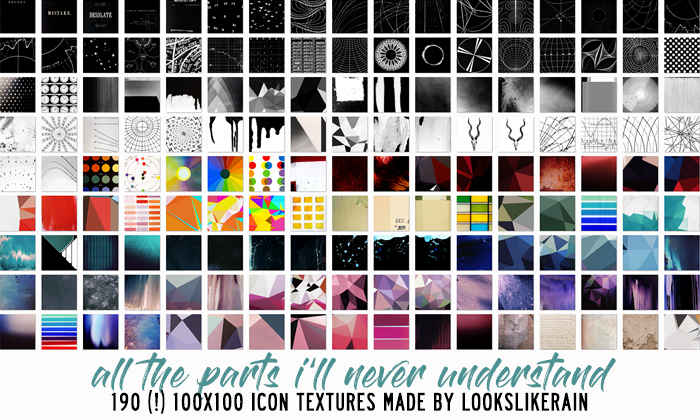 Look, I debated whether or not to post these - I have a personal rule about posting textures that I find pretty, but not really useful. I feel these probably fall into this category, but dang it if I didn't have some fun making them. 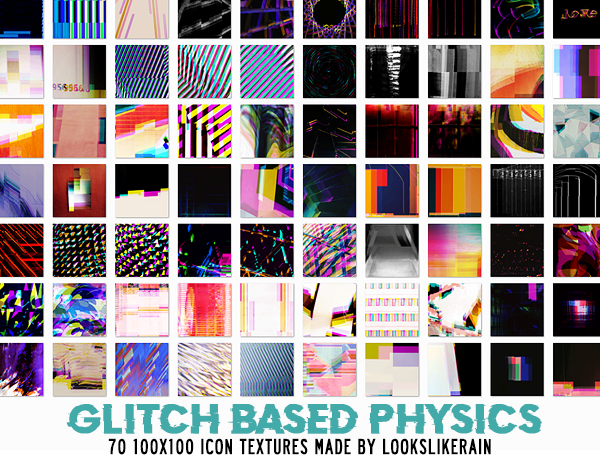 So, anyway - here are some textures you that you and I both probably will never use. Who knows - maybe it will spark something? 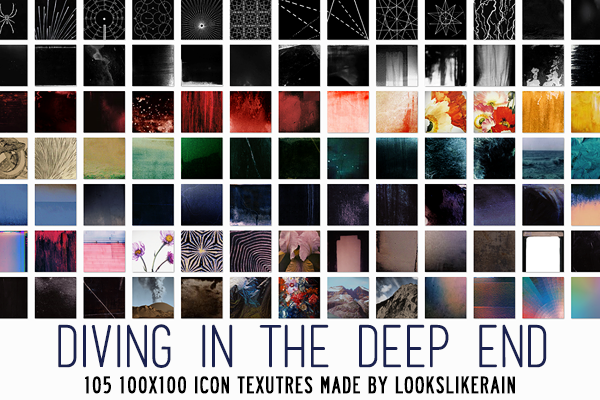 2 texture packs for you - let's get stuck into, shall we? Hello all, happy belated New Year! I've been gone a spell, snowed under with work and study and life. I've been saving up all my textures that I've made in fits and starts - I just didn't really have a chance to post them until now. 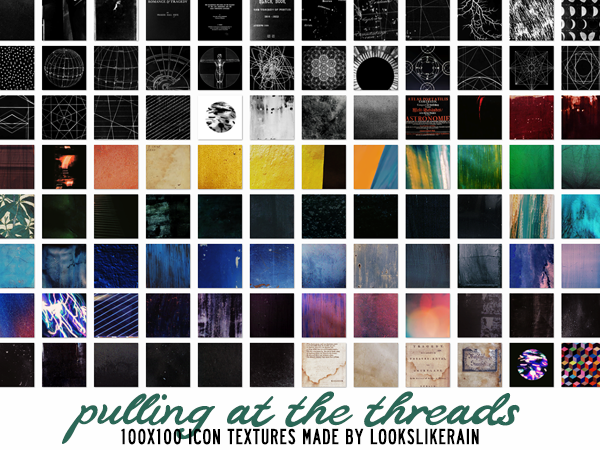 In this post you'll find all 310 individual textures and download links to the three texture packs they belong to. I uploaded one of these back at the end of July last year (crumbs, really? 2018 sure got away from me!) so apologies if you've seen it twice already. Oh, hey! Here's a pack full of weird and probably not at all useful textures. Sorry I've been gone so long - the year has just been zooming by. 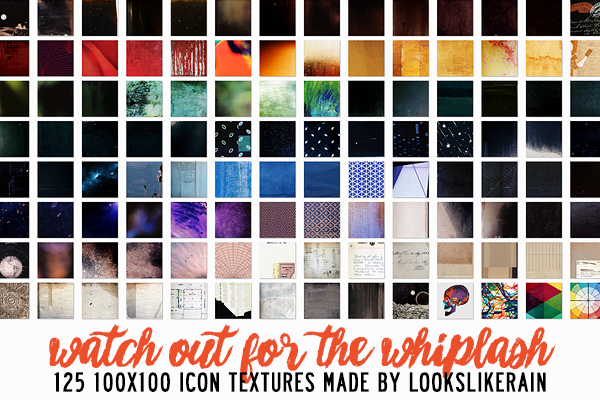 Warning: There are 190 individual icon textures under the cut. Do not click under there if that bothers you. 20 Game of Thrones icons and 6 alts made for Round 11: Story Book at monthlyinspo. I tweaked the words slightly (using "lion", instead of "wolf" for example) and protracted some of the quotes to fit, but it's pretty faithful to the source material. The books definitely have adult themes, so it fits quite well with GoT. So, 2017 huh? What a year, what a year. For me personally, I took a few knocks (which kind of shows in my posts) but the end is in sight, and I'm feeling much more positive about the future. As crappy as some parts of the year have been, I guess now is a good time to have at look back at what I managed to put out on the creative front. You can definitely see my moods change with my colour choices. 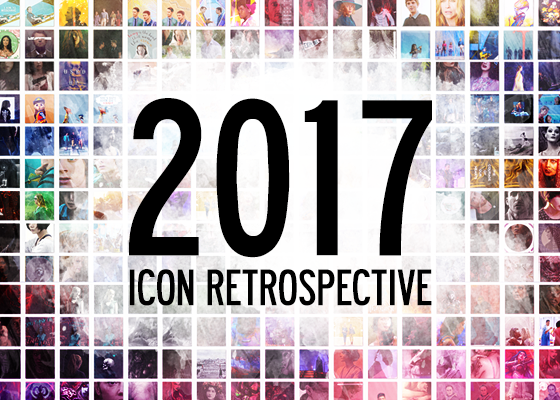 I wouldn't really call this a progression post (I'm not sure the quality has improved at all) but it's more of a 2017 icon retrospective. I was curious, I did some quick and dirty maths to figure out how much stuff there was - 320 icons (not including all alts and rejects) and 1020 (!!!) textures. Let's take a slide down memory lane... please note these are based off the month I made them, not the month I actually posted them. So, whoopsie-daisy, I kind of forgot to post these here. Mea culpa, a thousand humble apologies! 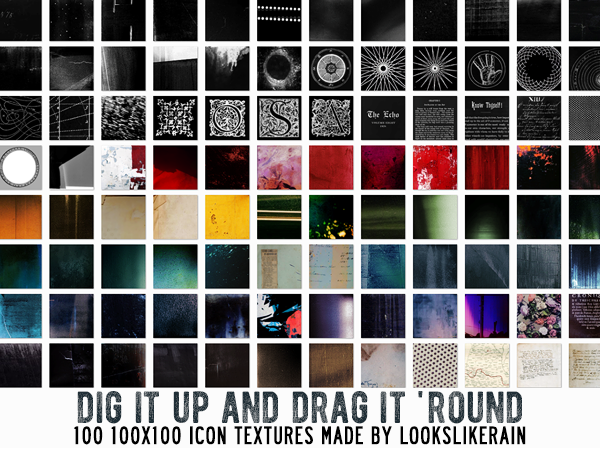 BUT, there's 100 icon sized textures in this pack, so maybe it kind of makes up a little? Guess the pack is aptly name, lololol. Hey! Here's a thing! 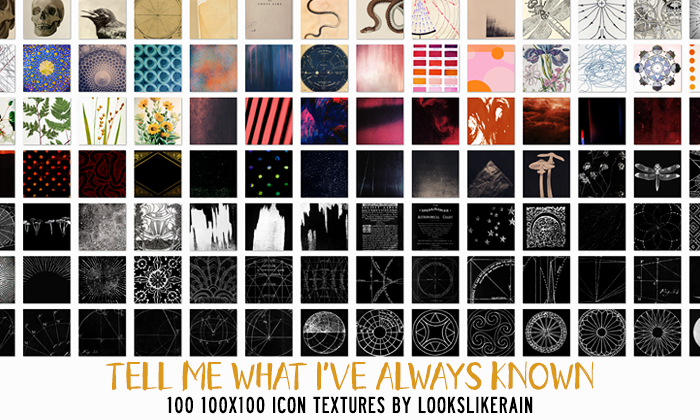 Full of ~~things~~... otherwise know as 84 random icons. Mostly made for icon contests and the like. Some were never entered, 'cause I am just terrible at actually submitting them on time. Subjects include: Game of Thrones, The Walking Dead, Star Wars, Firefly, Westworld, various videogames, Lord of The Rings, vintage photos, pulp fiction covers, and other random bits of art. This page was loaded Apr 23rd 2019, 2:06 pm GMT.